They were the forgotten children. Five- and six-year old girls and boys - sent to a remote boarding school and left to the terrible mercy of their caretakers. For the first time publicly, some of those children - now adults - are telling their stories of sexual abuse at the hands of their Jesuit teachers. They're telling those stories because they believe dozens of other victims out there still need help Today St. Mary's Mission School, in the hills above Omak, sits desolate, abandoned, in a poor corner of the Colville Indian Reservation. The classrooms - long empty. The boys' and girls' dormitories - locked up tight. There's little evidence today of the torturous childhoods many spent here. Patti Webb was just 6 years old when the sexual abuse started. Patti Webb was just 6 years old in 1962 when she was taken to St. Mary's. Alone and scared, the daughter of an alcoholic - absent mother, Webb says the sexual molestation started right away. "He did whatever he wanted, whenever he wanted." Webb is talking about Father John Morse, the Jesuit priest in charge of St. Mary's at the time. "He'd say, 'You're coming into my office. You're getting a whipping.' Well, yeah, you'd get a whippin' but you'd get a lot more than that." Webb says she's put the abuse behind her and has little trouble showing us around the grounds at St. Marys - even Morse's office and bedroom where she says much of the abuse happened. Little trouble, that is, until we get to one spot - an old building at the upper end of the school with an innocuous-looking door that used to lead to a root cellar. "This one's the worst one for me," Webb says in a quiet voice. She recalls it had a dirt floor, was pitch black and, in her memory, was full of spiders. "It was scary." It's the root cellar Webb says Morse repeatedly locked her in - when she wouldn't "participate." "I ended up in that hole a lot," says Webb. When she's asked what was meant by "participate," Webb answers, "Participate with him - sexual favors." Webb is fine showing us the rest of the mission grounds, but she won't get close to that root cellar door. "It's not a good place to be." St. Mary's Mission School sits empty and abandoned now. As alone as Webb felt - she wasn't. 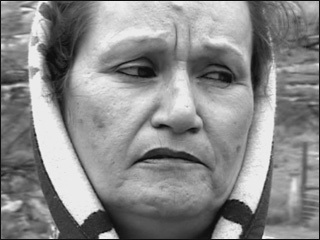 Sixteen Colville tribal members - 15 women and one man - who were at St. Mary's in the early '60s to early '70s have come forward telling similar stories. "What did I do to deserve this, I didn't know what I did," says Kate Sanchez through tears. "I didn't know what I did." Sanchez was six when the state sent her to the mission; she believes the state took custody of her and her little brother because her parents had abandoned them. Her cousin Joan Goujon was also just six when her parents dropped her off at the mission. They've both overcome problems with alcohol, bad marriages, suicide attempts - but still struggle to talk about what happened there. Goujon doesn't want to talk about what happened to her but remembers growing up hating men and "living a life of feeling dirty, shame." So ashamed that they all kept the secret. "We just knew that it was a taboo to say anything about it," says Goujon. Sanchez: "We never talked about it - we never, ever talked about it." Then three years ago, Patti Webb found attorney John Allison - and broke the silence. "I really came to see this as a Northwest tragedy," says Allison, "an American tragedy." With Allison's help, Webb and the other 15 tribal members settled with the Oregon Province of the Jesuits for $4.8 million. The province covers all of Washington, Oregon, Idaho, Montana and Alaska. But Webb and Allison believe there are dozens of other victims from St. Mary's Mission - now scattered across the Northwest - who have never come forward. And since the Jesuits have declared bankruptcy, those victims will only have a limited time to file a claim. "They are living a secret life of shame and torment," says Allison, "and this process represents justice and it represents a chance to get help." "What concerns me the most is that this bankruptcy may come and go before a good number of victims ever find out about it," he says. The Problem Solvers asked the Northwest Order of Jesuits for an interview - we even went to their headquarters in Portland - one last time to ask them to talk to us. Settling sexual abuse claims has already cost the Jesuits of the five Northwest states a bundle, over $55 million for more than 200 victims - most from Alaska. The Jesuits believe there could be another 200 victims with claims out there - so they've decided bankruptcy is the only way to make sure all the victims get a fair shot at what money they have left. 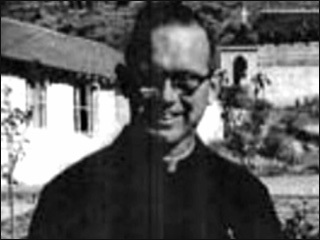 In the meantime, while Father Morse has denied all allegations of abuse, the Jesuits have removed him from ministry. He now lives in a Jesuit home under 24-hour supervision. As for an interview, the Jesuits tell us while the bankruptcy is still pending, they can't talk about it. That's not good enough for the women who attended St. Mary's Mission. "I'm angry," says Kate Sanchez, "I'm really angry. Because it's wrong what they did, and it's wrong what they're doing now and they know it." Many of the victims who have already settled with the Jesuits are still angry - and still trying to heal. Part of their path is to encourage other victims to come forward. They want healing for all the children of St. Mary's Mission. The bankruptcy court has not yet set a deadline for victims to come forward. 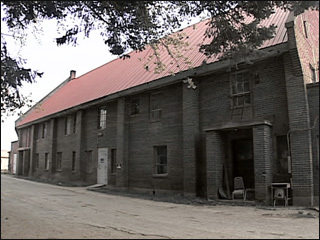 Once a deadline is set, it will be the last cance for victims who attended St. Mary's Mission boarding school to make a claim.